Chances are that you’ve known a few lucky individuals over the years who seem to be able to eat almost anything, never spend a moment in a gym, and still look great. The girl who eats french fries for lunch, she just has a fast metabolism due to great genes, right? Well, yes and no. While genes do have something to do with how quickly our bodies are able to burn fat and calories, the speed of each person’s metabolism is not set in stone on the day he/she is born. You have more power than you realize over your body’s ability to efficiently burn fuel. Whether you are young or old, male or female, heavy or thin—you have the power to change your metabolism by changing aspects of your lifestyle. There are tons of “tips and tricks” out there claiming to boost your metabolism. Some of these are real, and some are flat-out pseudoscience. How about we separate fact from fiction to help you get some real results. Let’s begin by defining metabolism. Metabolism is often misunderstood as simply the rate at which your body burns through the calories you eat. This doesn’t capture the whole picture. A better definition for metabolism is the whole process by which your body breaks down the food you eat and either uses those building blocks as immediate fuel for activity or packs them away into storage — in fatty tissue or in muscle tissue. Now that you know what metabolism is, let’s move on to some ways you can boost yours! Here are seven great ways you can boost your own metabolism. Boosting your metabolism offers a number of health benefits and on top of these, improved metabolism will make it easier to shed excess pounds and help keep them at bay. Your body is constantly burning calories to run its critical systems, even when you’re at rest. Every pound of muscle burns about 6 calories per day just to sustain itself, but every pound of fat, on the other hand, only burns about 2 calories per day. Those calories add up over time. By building muscle through strength training exercises, you’ll ensure that your body can help you win the battle of the bulge, even after your workout is complete. The next time you head out for a cardio workout, kick up the intensity. Studies show that even brief periods of high-intensity interval training will force the body to use up more oxygen, and thus, work harder to burn energy. This is a win-win for you because it means that you can exercise for less time, and at an overall slower pace, but still get the same results. Snacking throughout the day provides your body with the energy it needs to stay healthy and strong. Forget three square meals. Waiting long periods of time before refueling can fool your body into thinking that you are starving and will slow the metabolism down. Steer clear of foods that are loaded with preservatives, sodium, and sugar, and instead reach for foods that are 100% clean and natural. Clean foods ensure that the body doesn’t have to work so hard to eliminate waste products and assist the body in running properly, which means burning calories. Foods that are high in omega-3 fatty acids not only fight the inflammation associated with an number of health concerns, but they may also build resistance to leptin, a hormone which researchers have linked to how fast fat is burned. Trans fat can do a number on your body’s ability to burn fat. Scientists believe that trans fats bind to fat and liver cells, slowing metabolism, and that they can also lead to insulin resistance, which places quite a burden on metabolism. The body needs to work extra hard to digest foods that are high in protein, and all that extra work means more calories burned. Opt for lean sources of protein, like salmon, lean meat, or quinoa. 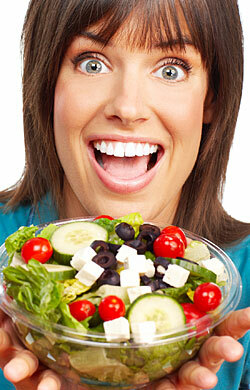 Fatty proteins will add on more calories than you can rid yourself of through digestion. Now that you know how to boost your metabolism, here’s one of the most common metabolism myths that I’ve personally encountered. I’m willing to bet that you too may have heard this one before. I can’t tell you how many of my own client’s have brought this one up when on the subject of metabolism. Let’s take a look. Do Spicy Foods Boost Metabolism? Do Spicy Foods Really Boost Metabolism? Well, this one technically has a yes and no answer and the reasoning behind it is interesting. It goes like this…spicy foods are loaded with capsaicin, the compound that is responsible for the heat you feel when biting into a pepper. Besides adding a bit of flavor to your favorite foods, capsaicin also raises the body’s heat index, giving your metabolism a boost. While capsaicin DOES raise body heat, the change is almost always small and temporary, NOT really enough to noticeably affect your metabolism. That being said, may fat burner supplements contain capsaicin and some people have experienced positive results. Of course, it’s important to note that these supplements also usually contain other fat burning ingredients and an individuals results will always vary depending on their overall nutrition and exercise habits as well. However, the good news is, you can at least stop adding chili peppers to everything or dousing everything with hot sauce (unless you just like the taste)! So, no more using a slow metabolism as an excuse for sporting a body that you’re not proud of. While it’s true that some people are predisposed to a certain body type, that doesn’t mean that they don’t have the power to change how their body deals with fat and calories. 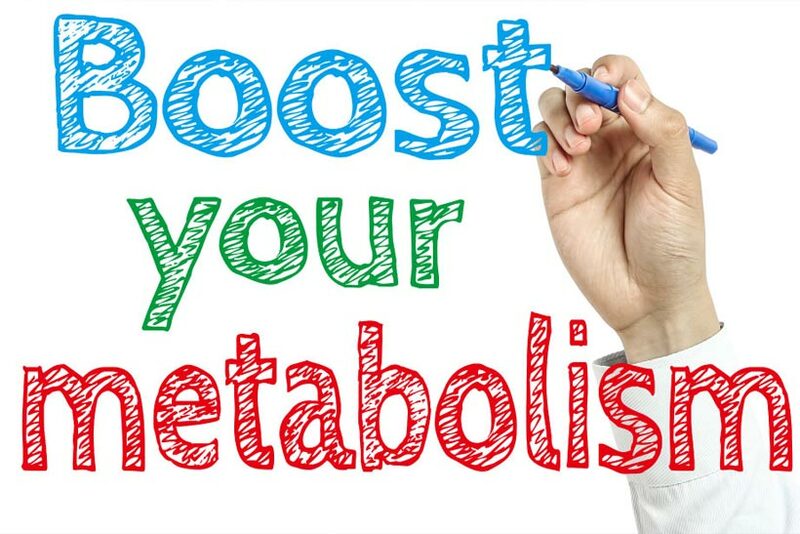 By making a few simple adjustments, anyone can boost metabolism!